Christine Ward-Agius was born in Adelaide, South Australia and is a researcher and working artist. Previously she worked for many years in the Welfare sector, gaining particular experience in a program designed to help empower women to escape poverty via education and employment. 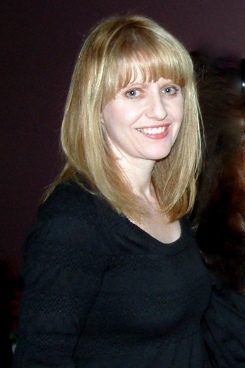 The insight gained from this area of work gave Christine an added interest while assisting her partner Jonathan Hainsworth when writing his first book on “Jack the Ripper.” Christine’s research helped discover previously unknown sources that strengthened the original, long-ignored police solution. Travelling numerous times to the UK and utilising both traditional and digital archives, Christine has continued her research on this topic and is particularly interested in family life and the social customs of the Victorian era. A mother to an adult son and daughter, Christine enjoys family life, painting and reading in her spare time. When researching our new book on “Jack the Ripper” we tried to find a publisher and/or an agent and had no luck with either. A distinguished British writer and film-maker, to whom we wrote to for advice, was generous enough to introduce us to his agent – Mr. Andrew Lownie. His name was already known to us the author of “Stalin’s Englishman”, a persuasive revaluation of the Soviet spy, Guy Burgess. In corresponding with Andrew we found him to be succinct and super-prompt, so that we knew exactly what to do and how to do it. On meeting Andrew in London last October we found that, in person, he was prepared to give us the respect, the time and the space we needed to pitch to him our new book idea on “The Ripper”.